For all the moms of small kiddos out there, you know that just finding ways to keep the little ones occupied can be an ongoing struggle. Too much television is a bad thing, parks get boring after too long, and there are really only so many finger paint masterpieces you can put on your fridge. Planning time with other moms to get the kids together to play is often a lifesaver, but how many times can you rotate through each other’s houses without getting burned out? If you’re part of a play date group, or want to start one, having ideas for unique locations and activities can make you a hero! Here are some great suggestions to get you started. If you live in an area that is within a reasonable drive of a farm or orchard, it would be a great idea to see if those places have any days set aside to host children and school groups. Often, these little pieces of pastoral heaven will keep kids occupied for hours, especially those who rarely get away from the big city. Many orchards offer discounted prices for small children to pick their own fruits, and farms will have gentle animals available for petting. For children, these places offer a learning experience outside what they usually see and do; expect them to talk about this trip non-stop for days. For those who prefer to keep little hands a bit more occupied, a great alternative is to find local art and pottery studios who offer group classes for kids. These classes give children a new perspective on art, and most kids will be fascinated by seeing art projects, especially pottery, take shape beneath their hands in just moments. Of course, as with any creative endeavor, taking art and pottery lessons will boost kids’ creativity and will contribute to learning in other areas. And on top of that, you’ll have non-finger paint artwork to display in your home. Lucky for many moms, activity centers geared toward play dates are popping up in cities all over the country. Indoor bounce-houses and mini water parks have become the norm, and are so much more convenient for most play date groups than large parks. Indoor bounce-houses, with their myriad bounce castles and obstacle courses, are an excellent choice for rainy days and wearing out little ones. And those long, hot summer days call for a trip to a water park built especially for small children. These mini-parks are usually focused around splash mats and wading pools, making them safe and entertaining for babies, toddlers, and little kiddos. Even better, these miniature amusement parks are perfect for groups of children who would get too tired in a larger park. The rest of the year, it’s easy to plan play group outings around holidays, when there are all sorts of activities that aren’t available year-round. Halloween is the perfect time to take kiddos to pick out their own pumpkins, and to host everyone for a pumpkin carving play date. Christmas gives the opportunity to visit Santa, or to have a caroling or ornament making party. Your community might also have activities planned for Fourth of July, Memorial Day, and Easter that your play group could join in on. 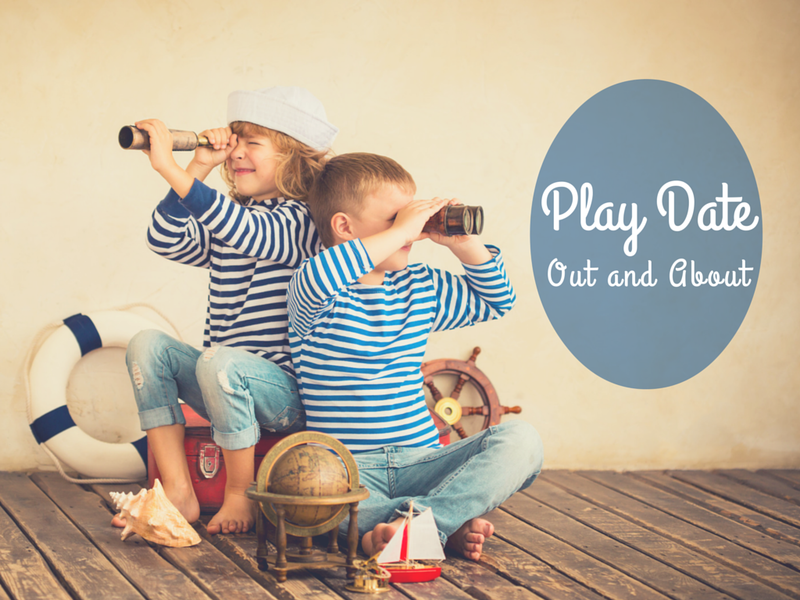 Having a fun, low-stress play date doesn’t have to be difficult; in fact, with the right activities planned, it can be super easy. Getting a play group out and about is the key to making sure that each child has great learning experiences, and no one feels overwhelmed with too many people in one home. Best of all, planned activities will keep even the most hyper children occupied and entertained, leaving stressed-out moms the time they need to decompress.